JENNIFER LOPEZ WILL LIGHT UP THE VEGAS STRIP: Rumors are over at last. Jennifer Lopez is the latest superstar to announce a residency gig on the Strip. She will open on Jan. 20, 2016, in the AXIS Theater at Planet Hollywood and remain a judge on the final season of “American Idol.” Her over-the-top Las Vegas show will be the only opportunity to see her perform live in North America. Tickets for her 9 p.m., Friday-Sunday and Tuesday-Wednesday, shows range between $59 and $219. MICHAEL GRIMM LAUNCHES SUMMER RESIDENCY AT HARD ROCK: American soul singer Michael Grimm, “America’s Got Talent” Season Five winner, has lined up a three-month engagement at Vinyl inside the Hard Rock Hotel from Friday, June 5 to Sunday, Aug. 30. 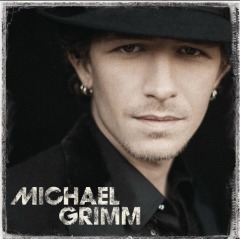 During his residency, Grimm will play more than 40 shows, debut songs off his new album before it hits stores on June 15, and continue to perform his latest songs throughout his stay in Vinyl. Tickets start at $19.95. NEW YORK’S CARBONE RESTAURANT WILL OPEN AT ARIA: New York’s critically acclaimed Carbone restaurant will bring its Italian-American dining experience to Las Vegas when it debuts in October at Aria in the middle of the resort’s dining scene on the Promenade Level, neighboring Jean Georges Steakhouse and Michael Mina’s BARDOT Brasserie. This will be the second U.S. home for the finalist for the 2014 James Beard Award’s “Best New Restaurant.” This will not be a replica of Carbone New York. 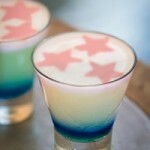 While the menu will be very similar, the design will be inspired by the history of Las Vegas and the Rat Pack era. The waiters – known as “Captains” will don iconic burgundy tuxedos and provide elevated tableside service while all elements will be carefully curated from the hand-painted plates to era-specific music. MIRACLE MILE SHOPS UNDERGOES HARMON AVENUE REDEVELOPMENT: Miracle Mile Shops at Planet Hollywood will introduce Buffalo Wild Wings and Texas Land & Cattle to the Strip as part of the center’s Harmon Avenue redevelopment set to open this fall. Several other stores are opening or expanding elsewhere inside Miracle Mile Shops. These include: Michael Jordan retail experience – Flight 23 at Footaction; Alex and Ani featuring body accessories; U.S. Polo Assn. – clothing opening this summer; Oakley – athletic apparel, goggles opening this summer; and Victoria’s Secret, which will move to a new, larger space in the mall. 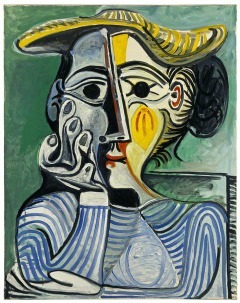 BELLAGIO GALLERY OF FINE ART PRESENTS PICASSO OPENING JULY 3: Bellagio Gallery of Fine Art (BGFA) will debut “Picasso – Creatures and Creativity” on July 3 featuring 43 works from one of the 20th century’s most influential artists and run through Jan. 10, 2016. The exhibition will take guests on a step-by-step journey through the famed artist’s thought progression and creative process behind his painting and printmaking. The new exhibit will showcase 19 lithographs, 13 linocuts, 8 paintings and three rare plates, each telling a different story. ‘METAL MELTDOWN’ IS A REUNION FOR FOUR 80S BANDS: Rock Fuel Media is presenting “Metal Meltdown,” an all-new rockin’ series in The Joint at the Hard Rock. Featuring some of metal’s biggest bands from the past 30 years, the series will kick off May 30 featuring 80s metal bands including Twisted Sister, Extreme, Skid Row and Great White. 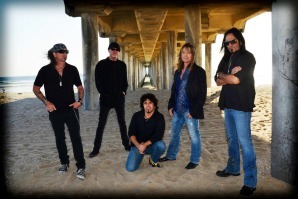 Extreme will perform their multi-platinum selling album “Pornograffiti” in its entirety, celebrating the 25th anniversary of the album’s release.Speaking with Mark Kendall of Great White, he said all the bands have worked together in the past and will each get equal 75-minute sets with his group leading off around 6 p.m. While the groups love getting together again, it’s a lot different than when they were young. “Everyone is playing great. No one drinks or smokes cigarettes. We’re with our families now,” he said. “And we talk about what rehab guy do you have?” Kendall says his group is working on a new record this year, and Saturday’s show is being filmed for 3D worldwide release. A film crew has already followed Great White around for background footage. VÉRONIC RETURNS TO THE JUBILEE THEATER AT BALLY’S: Singing sensation Véronic DiCaire is back at Bally’s performing her superstar voices through June 13, 2015. The vocal impressionist, who just completed a tour in Europe, was on hand at the Human Rights Campaign 10th Annual Las Vegas Gala on Saturday, May 9 at ARIA. Véronic’s show will celebrate diversity as part of “Lend Your Voice,” which supports selected nonprofit organizations. The “Lend Your Voice” fundraising initiative was launched by Véronic last year to benefit selected nonprofit organizations. Tickets for “Véronic Voices” range from $45 to $95. DEANA MARTIN SWINGS INTO TOWN WITH A NEW SHOW: At the South Point, Deana Martin has been working with her quintet doing her tribute show to her father Dean Martin that included a surprise visiting entertainer like her dad had on his TV show. This time around, Martin is premiering a completely new show, “Deana Martin’s Big Band Swing,” May 29-31at 7:30 each night. Tickets range from $30 to $40. Martin will be backed by a swinging 18 piece orchestra and cover legendary superstars of the 20th century such as Peggy Lee, Bobby Darin, Dinah Washington and others, including her father and “uncles” Frank Sinatra and Sammy Davis Jr. Speaking to Martin from her home in Branson, Mo., she is elated over her new show and enjoys putting it together. “The challenge keeps the mind going,” she said, “And it stops me from overeating thinking about fitting into my gowns (of which there are three new ones in the show. )” Note… she’s about the size of a toothpick. VISTA COCKTAIL LOUNGE NOW OPEN AT CAESARS PALACE: VISTA Cocktail Lounge, an upscale, interactive cocktail experience in the former Shadow Bar location in Caesars Palace is open now featuring world-class mixologists and state-of-the-art LED technology. Through digital content displayed on LED portals surrounding the interior of the lounge, guests are able to enjoy evolving panoramic views of sunsets descending upon Dubai, fireworks exploding over New York City and rainstorms approaching Shanghai from the plush leather banquettes within the lounge. FREMONT STREET EXPERIENCE REVEALS SUMMER CONCERT ACTS: Fremont Street Experience’s Rock of Vegas free summer 9 p.m. concert series will open with KC and The Sunshine Band on Saturday, May 23 and close Labor Day weekend with Kansas & Blue Oyster Cult on Sunday, Sept. 6. Other acts include: May 30 – Tonic & Vertical Horizon; June 13 – Martha Davis and The Motels, The Tubes & The Smithereens; June 27 – Smash Mouth & Toad the Wet Sprocket; July 10 – UFC Fight Week Concert (band TBA); July 18 – Theory of a Deadman; and Aug. 1 – Spin Doctors & Cherry Poppin’ Daddies. HISTORIC KIEL RANCH BEING PRESERVED AS A PARK: A groundbreaking was held for the first phase of construction at Kiel Ranch Historic Park, a seven-acre historic site near the corner of Carey Avenue and Commerce Street that is the last remnant of the original 240-acre homestead settled by Conrad Kiel in the mid-1800s. With $2 million in construction funding, the site will eventually include the preserved historic site, a park and open space area. Kiel Ranch was placed on the list of the National Register of Historic Places in October 1975. The present-day site has an adobe structure that is one of the oldest buildings still standing in Nevada, a shed referred to as the “Doll House,” and a natural artesian pond. SKRILLEX AND DIPLO AS JACK Ü JOINS GUMBALL 3000’S FESTIVAL LINEUP: Powerhouse DJ Skrillex will join Diplo to perform as trap duo Jack Ü at the Gumball 3000 Las Vegas festival celebrating the finale of the 3,000-mile “superstars and supercars” global rally at the MGM Resorts Village May 29 and 30. The duo, known for its hit single “Where Are Ü Now” featuring Justin Bieber, will join the all-star lineup already featuring deadmau5, Eve, Bun B, The Alchemist and DJ Muggs of Cypress Hill. Jack Ü will perform Saturday, May 30 at 10:30 p.m.Day tickets for the Gumball 3000 Las Vegas Festival are $40 and a weekend pass is $50. ‘KICKIN IT’ WILL PLAY AT RON DECAR’S EVENT CENTER: Chadwick Johnson will be the guest vocalist and emcee for “Kickin’ It,” a versatile rhythm based dance show premiering at Ron Decar’s Event Center, 1201 Las Vegas Blvd. 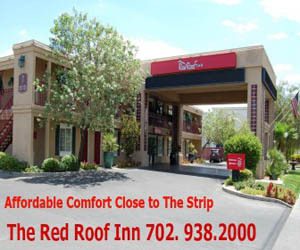 S., May 23 at 7 p.m. Tickets are $20 and VIP $35 with a buffet included; call 702-384-0772. The Coppola Dance Ensemble will present routines with from Latin to Hula, Burlesque to R&B. Las Vegas show producer/writer, Jeanne Bavaro, has been collaborating and consulting with the show for the past year. 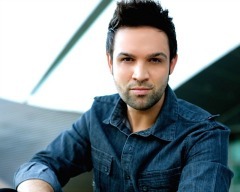 Executive producer, Drew Vamosi, is a seasoned Broadway performer and owner of Leap, a national dance competition. ROTELLA GALLERY OPENS A SECOND LAS VEGAS OUTLET: Rotella Gallery, a fine art photography gallery showcasing highly collectable works from a handful of the world’s most distinguished photographers, has opened a new location at Appian Way located inside Caesars Palace. Rotella Gallery is already operating a retail outlet at The Forum Shops in Las Vegas and currently features photographers: Robert Rotella, Michael Levin, Art Wolfe, David Yarrow and Joel Tjintalaar. MEMORIAL DAY WEEKEND HIGHLIGHTS: Upcoming music legends appearing at the MGM Grand Garden Arena include Bette Midler on Friday, May 22 and Rock and Roll Hall of Fame members, the Eagles on Sunday, May 24. Corner Bar Management Group, the team behind Commonwealth, Park on Fremont and The Bunkhouse Saloon, will offer a Memorial Day block party from Friday, May 22 through Monday, May 25. Drink specials at all three venues will include Ketel One, Bulleit Frontier whiskey and Don Julio cocktails, priced at $8 each. PBR Rock Bar & Grill an officially-licensed Professional Bull Riders (PBR) venue will have parties and specials during Last Cowboy Standing’s “Cowboy Spring Break” in Las Vegas with exclusive events and deals from Thursday, May 21 to Sunday, May 24. The party begins Thursday, May 21 at 6 p.m. with the Last Media Standing Mechanical Bull Riding Competition featuring local celebrities competing for $1,500 towards the charity of their choice. RHUMBAR at The Mirage Hotel will celebrate Memorial Day with the introduction of the $12 Captain America cocktail garnished with stars made of Angostura bitters, $65 unlimited hookah specials and patio parties all week long. Chateau Nightclub & Rooftop at Paris will be home to the official UFC 187 post-fight party with host, UFC competitor, Anthony “Rumble” Johnson, on Saturday, May 23. Currently ranked number one in the light heavyweight division, the Georgia native will make his way to the club directly after his fight against longtime rival, Jon “Bones” Jones. ABOUT TOWN HAPPENINGS: Now in his 15th year as Harrah’s afternoon headliner, comedian-magician Mac King is celebrating “National Plaid Day” with a special deal. On Tuesday, May 19 “The Mac King Comedy Magic Show” will offer a free ticket to anyone that shows up wearing a plaid shirt at the 1 p.m. and 3 p.m. shows. 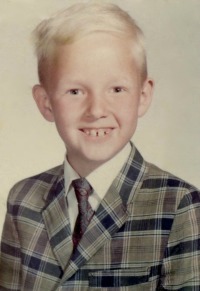 The earliest sighting of King in a plaid suit was at age 6. You have an opportunity to visit the historic Morelli House at 861 East Bridger Avenue for free on Wednesday, May 20 and Saturday, May 30 between 10 a.m. and 2 p.m. 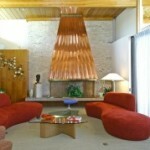 The Morelli House was built in 1959 in the former Desert Inn Country Club Estates by Antonio Morelli, the orchestra leader at the Sands’ Copa Room. Just drop by. Firefighters of Southern Nevada Burn Foundation will host its annual LiFESAVERS Firefighter Bachelor, and for the first time ever, Bachelorette Auction fundraiser on Friday, May 29 from 6–10 p.m. at LiFE Nightclub inside SLS. Tickets start at $40 for females, $80 for men and $80 for couples. Buddy V’s Ristorante rolls out live music with the Fabulous Baker Boys performing each and every Sunday during the widely popular Buddy’s Family Brunch from 10:30 a.m.-2:30 p.m. The duo will also perform Tuesday through Thursday each week from 5:30–9:30 p.m. in the bustling bar and lounge area. Sorry to see “Duck Commander Musical” close at the Rio this weekend. People laughed but it was actually a good Broadway-style musical play that may do very well if it goes into regional theaters. I was as surprised as anyone else to have really liked it. The Downtown Summerlin Movie Series will have a preview on Friday, May 22 with the film “Frozen” and start up June 4 continuing on Thursdays through Aug. 27 with show times at sundown. There will be free movies such as “Big Hero 6,” “Maleficient” and “The Lego Movie.” Temptation Sundays at the Luxor returned for its sixth consecutive season May 17. It is the only weekly LGBT-focused pool party on The Strip from 1-7 p.m. DJ Matt Lucio is the featured DJ. General admission is $20 and $10 for hotel guests. Life Time Athletic in Green Valley is holding a poolside “Hot Havana Nights” Latin theme party on Saturday, May 23 from 8 p.m. to midnight with food, dancing, Latin dancers and a cash bar. Entry is free for club members and $20 for non-members.